Not a view you see too often. 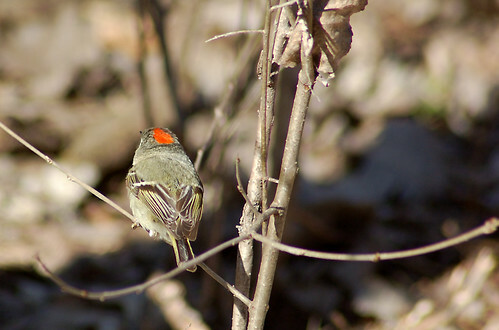 Usually the reddish/orange crown is hidden under those yellow/grey feathers. I don't know how they uncover the crown but this is the first time I've seen it.